Wee Lil' Blog: FuzziBunz One-Size Giveaway! For birthday month, we’ll be doing lots of giveaways and our first will be a FuzziBunz one-size diaper! 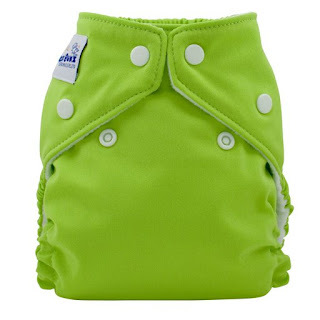 One lucky blog reader will win their choice of in-stock FuzziBunz one-size cloth diaper. Click the “shop our store” button to the right to visit the store and locate the FuzziBunz one-size page under the “cloth diapers” tab. Come back here and tell us, in a comment on this post, what your favorite feature is about the FuzziBunz one-size. The FuzziBunz one-size diaper contest will run from September 3, 2010 through Thursday, September 9, 2010 at 9pm EST. One winner will be announced on the morning of September 10, 2010. That winner will have 48 hours to contact us and claim his or her prize. After 48 hours with no claim on the prize, a new winner will be chosen. Please include your email address in your entries so that a new winner can be contacted should we need to choose one. Diapers pictured aren’t necessarily the ones you’ll receive. This contest is subject to change at the discretion of Wee Little Changes. My Fav feature is the adjustable elastic! such an innovative design! My Fav part is the adjustable elastic! I love WLC on Facebook! I love Fuzzi Bunz Cloth Diapers on Facebook! I love that the FB OS has adjustable elastic in the legs and waist. It's not only easy and each setting lasts a long time, but also it helps you get a custom fit on your baby! I am a fan of WLC on Facebook! I am a fan of FuzziBunz on Facebook! My favorite feature of the FBOS is that you can adjust the legs and waist independently from eachother. On most OS diapers if I get the legs to fit the waist is too big and vice versa. I don't have the problem with FBs!! I tweeted! I don't know how to directly link to a tweet, but my twitter name is atomic_poppy, same as my google name. I'm a Fuzzibuns FB Fan!! My favorite thing about the FuzziBunz os is that they get really small so you can use them on Newborns! My favorite feature is that it uses elastic to adjust size rather than rise snaps - keeps the diapers looking cute and tidy! I love the different adjustments with the leg casings. I think the adjustable feature is awesome. This makes it a product that will LAST--something very important on a tight budget! I really like the way it grows with your baby. Hmm, I like the hip snaps! I've never had a diaper with them, and I'd certainly like to try. Also, I am a FB fan/follower of WLC! My favorite feature about the fuzzibunz one size is the fact that they are the only diapers I will ever need from birth to potty-training. I love that I can change the size as needed! I also follow fuzzibunz on facebook. LOVE FuzziBunza and love the blog!! My favorite is the adjustable elastic! Will be great with a 20 month old and new baby! My favorite feature is the snaps. I follow the Wee Little Changes blog. My favorite feature of the Fuzzibunz OS is the Hip snap. I also love that it comes with 2 inserts AND replacement elastic! i am a fan of fuzzi bunz on fb! i am a follower of WLC blog on GFC! i am s fan of WLC on fb! I love that you adjust the rise in the legs!! My favorite feature about the FB one-size is the adjustable elastic! Perfect to customize just right for your baby! I prefer the fuzzibunz sized ones than the one sized ones. I find that they are PEFECTION.. trim and easy to use. I love the colors but wish it came in more patterns. The perk of the OS fuzzibunz is that you can use it the childs whole life! I am a facebook fan of fuzzibunz.. they are my favorite diaper! I love the adjustable elastic on the fuzzibunz legs! My favorite feature is the inner material, actually! Fan of WLC on Facebook! I love that Fuzzibunz are so adjustable and come in so many fun bright colors! I like Fuzzibunz on facebook #2. My favorite feature is the elastic used to size up the leg holes. My favorite feature about the FuzziBunz OS diaper is the weight range. My 23 lb. 10 month old wears his with plenty of room to grow. I'm a FB fan of WLC. I'm a FB fan of FuzziBunz. I love the adjustable elastic on the Fuzzi Bunz one-size diapers - a great feature for babies, like mine, with skinny legs! "button-adjusted waist and leg casings" I have yet to try this diaper, but this is the reason I would love to. A perfect fit diaper is very valuable. I love the snaps on the one size diaper. It means the baby is less likely to pull off the diaper himself like they do with the velcro diapers. I like this the best: "hey always use sturdy snap closures which will withstand 3+ years of use and elastic that is easily replaceable if it ever fails making it a long"
I love that the elastic is adjustable. Plus, it probably sounds weird, but I like that the elastic is easy to replace, so that if it starts to go after the first baby finishes with them, the elastic can be replaced and the diaper will be good to go for the next baby!